“My Magic Mud”- What’s In My Suitcase this month? Welcome back my adventurous friends!! 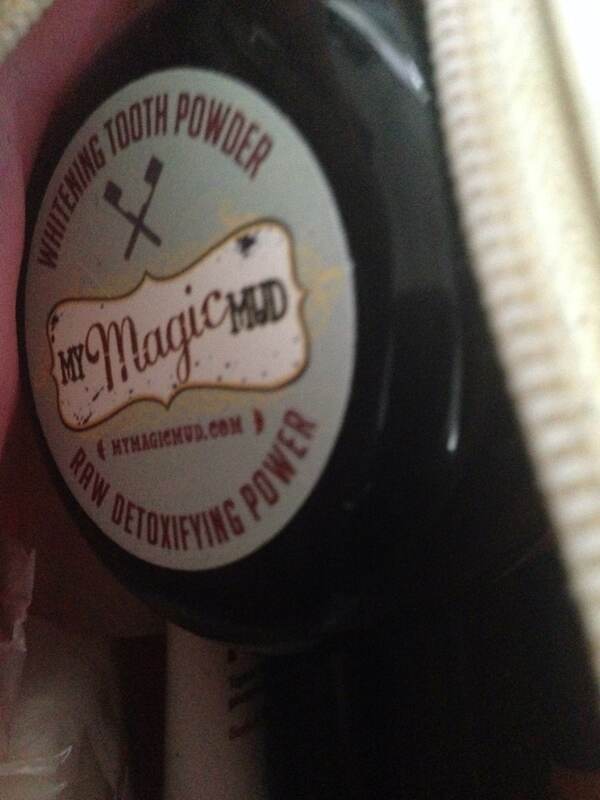 My latest suitcase series pick is a pretty incredible one- It’s “My Magic Mud,” Whitening Tooth Powder. As always, I’m bringing you another high quality product, with the best ingredients. My goal is to take the guess work out for you, so you can focus your attention on other matters; like booking flights, making hotel reservations and reading reviews. Without further delay, let’s find out just why this magic mud made my 2015, suitcase series list. 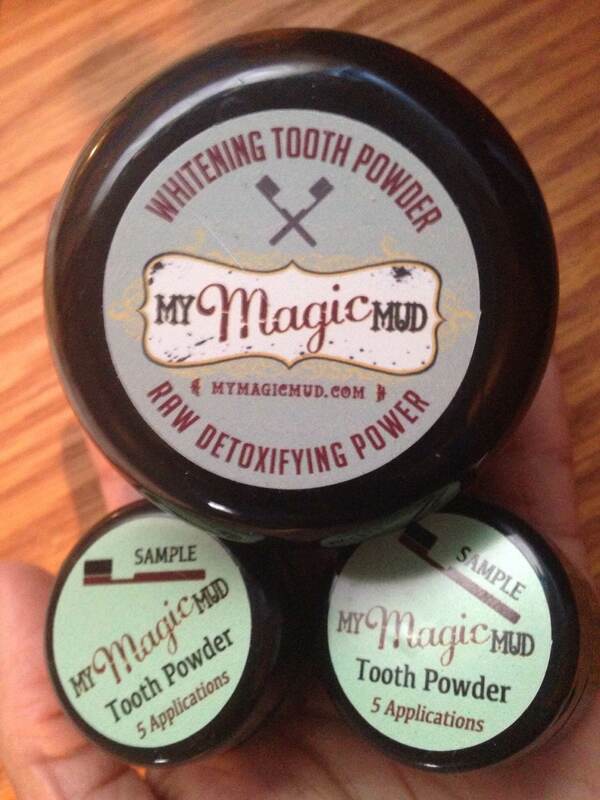 The label reads, My Magic Mud, Whitening Tooth Powder, and Raw Detoxifying Power. My response to this statement- “Completely accurate.” This tooth detox did exactly what it claimed to do!! After only one use, I could see an evidently noticeable difference in my smile. 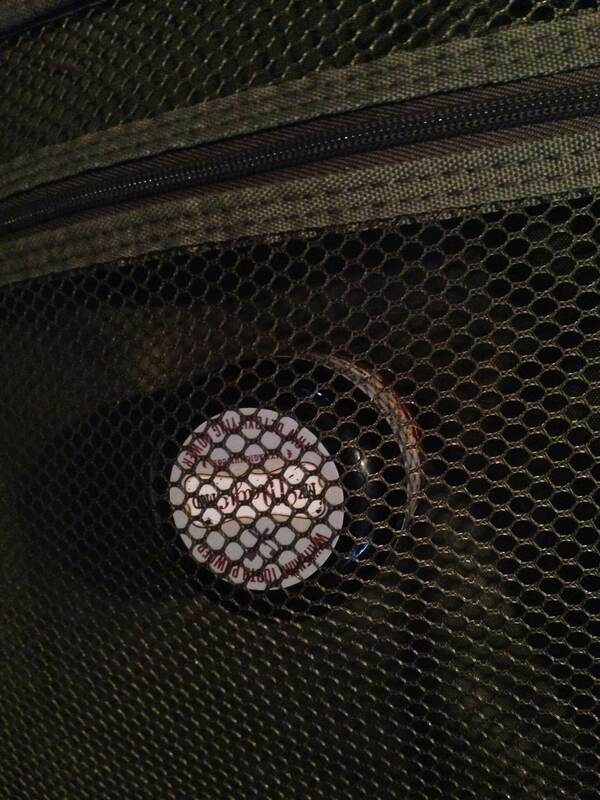 I was sooooo impressed, that this little guy has earned a special place in my luggage!!! Another big plus, is that this whitener is raw, vegan, Non-GMO, and has no chemicals or fluoride. It’s also 100% natural and kid friendly. 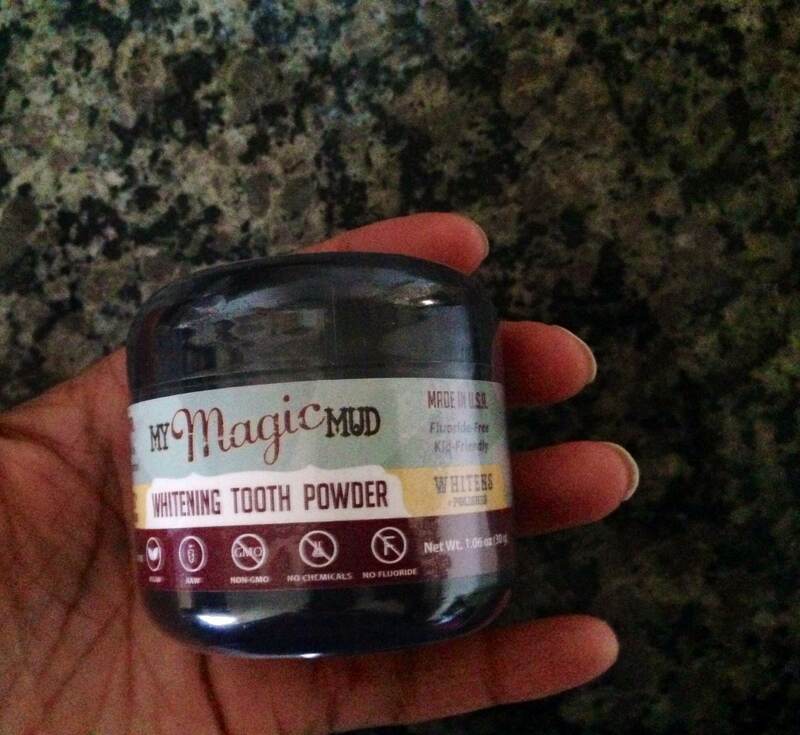 Additionally, the list of ingredients includes; activated coconut shell charcoal, calcium bentonite clay (made with living clay,) certified organic orange peel extract powder, and wild-crafted mint extract powder. 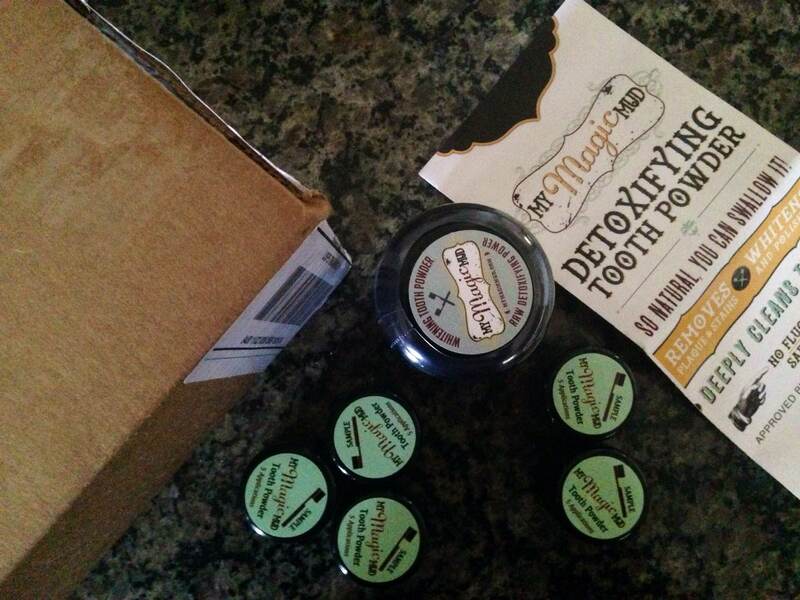 It’s made in the USA, and is the perfect guilt-free product to brighten your smile. 1. 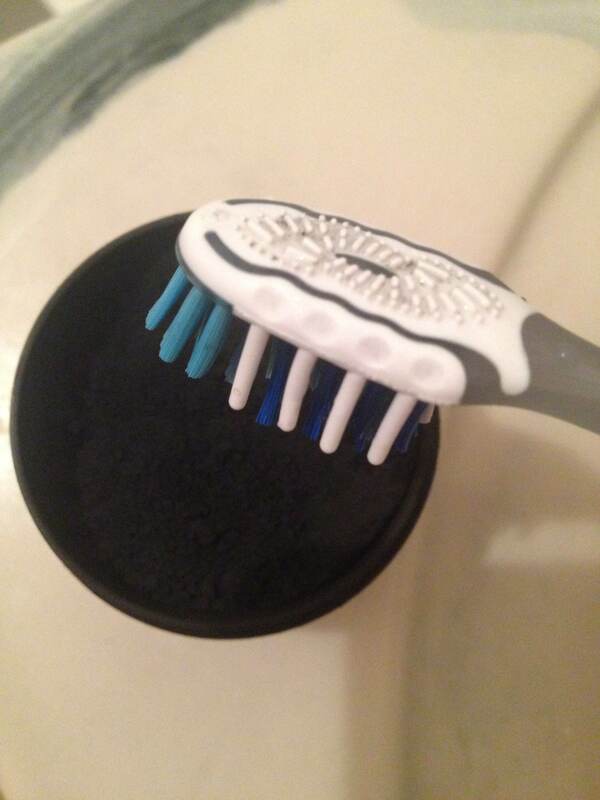 Dip your toothbrush into the the charcoal like powder. 3. Discard contents ( a nice way of me saying- spit) and rinse; the directions instruct to rinse repeatedly as needed. A word of recommendation- Prepare your bathroom vanity area, or other selected whitening station before use. On my second application I just placed a towel down atop the surface, prior to starting the process! MMM is a black powdery substance, and the first time I didn’t think too to cover the area, so I had droppings and splatters around the bowl during application. HOWEVER, it did not permanently stain, and cleaned up easily. I used a soapy sponge, a little bathroom spray cleaner and water to wipe down when I was done. Remember, all the ingredients are natural, so I didn’t have any trouble returning the restroom to normal state. This is wonderful news, so you don’t have to worry about leaving a trace of your in-house dental visit behind in your hotel room- ending up with an unwanted incidental on your credit card bill! No worries with this mud, so feel free to use- just come prepared! I was so pleased to learn of this “natural” tooth whitener. It comes packed in a small, round, 1.06 oz plastic, black container for easy transport. My Magic Mud fits snugly in my inner suitcase pocket, quite comfortably in my carry-on duffel, as well as perfectly in my toiletry pouch! This product is a MUST pack for a quick and easy brightener while away from home. It’s like having your very own dentist on the road, considering pearly whites are important for selfies and business meetings alike!! Visit our Instagram and Facebook pages at candacetravels to enter our GIVEAWAY!!!! Until next time business travelers and global nomads, we can now say “cheese” with confidence! This sounds like something I’d like to try, Candace! Wow! It is nice to know that there is an organic choice for tooth whitening! Yes, Rose, it’s a fantastic option for the health conscious traveler!